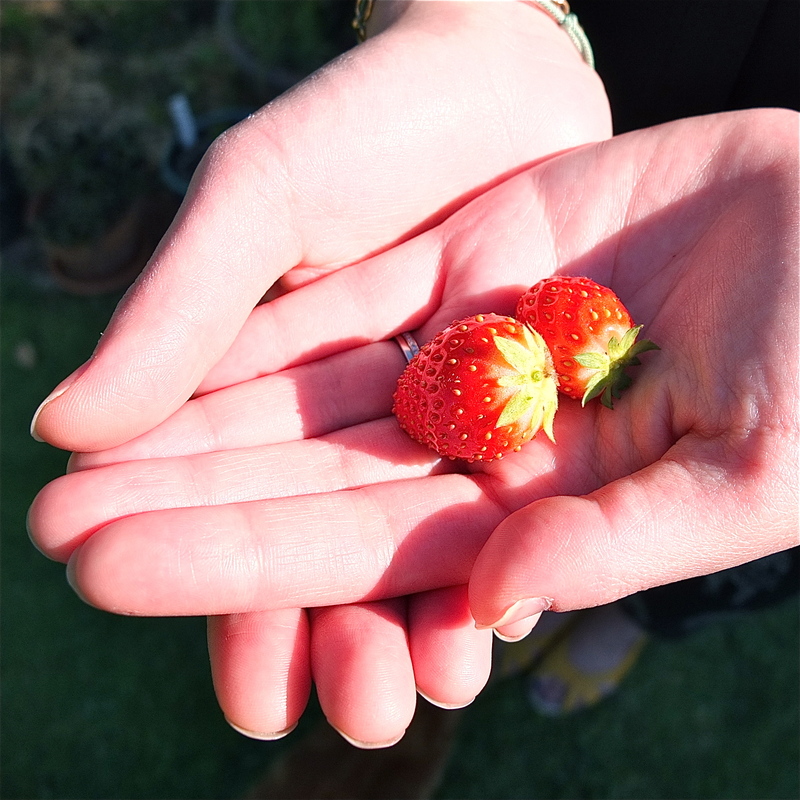 Our strawberry plant has been so kind as to put out two tiny little (but sweet!) fruits. Actually there were three but the snails clearly got to that one before we did. This is also a sneak peek into a “photoshoot” I did with our little orange friend – Schnooks! You shall meet him next week. Until then – happy weekend!